On Saturday, July 21, 2018, the All Girls Math Tournament held its second annual summer math mixer at the Newport Beach Youth Community Center. With a total attendance of 34 girls, this year’s Math Mixer more than doubles last year’s attendance. First, the girls participated in bonding games aimed to bring them together through their shared love of math. “I love the AGMT games and activities because I like seeing that other girls are interested in the same thing I am: math,” said Nikita Karnik, a fifth grade attendee. 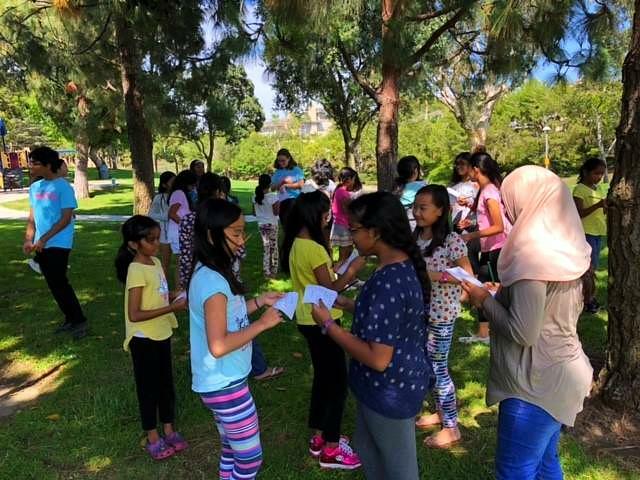 Next, they participated in math games outside including Splat, a game where girls compete to do quick mental math and run around to find the answer among scattered numbers. The girls played in teams with other girls from all Orange County to win candies and other prizes in a mental math relay races as well. Lastly, the girls enjoyed pizza and ice cream while playing games such as Ken-Ken, Sudoku, and math-themed color by the number puzzles. 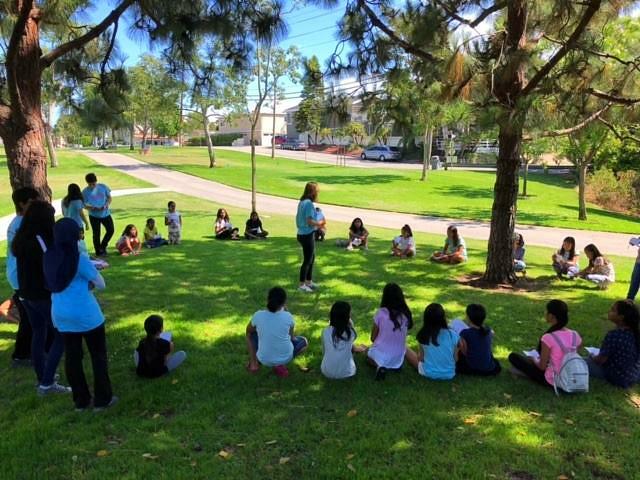 On Saturday, July 14, 2018, OC Science held its first Summer Fun event of the school year, themed “Ecology”. In one room, a Jeopardy game kept students at the edges of their seats while each team struggled to win the most points. Meanwhile, students were able to choose to participate in whichever events they liked the most from a wide variety of activities. 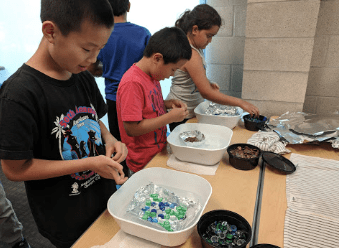 By the end, everyone had constructed their own food webs, built their own boat out of aluminum foil, and changed the color and pH of water with only their breath. Finally, a stimulating performance from an OC Science teacher entertained students as they learned about some of the essential processes of life, such as energy flow in an ecosystem. 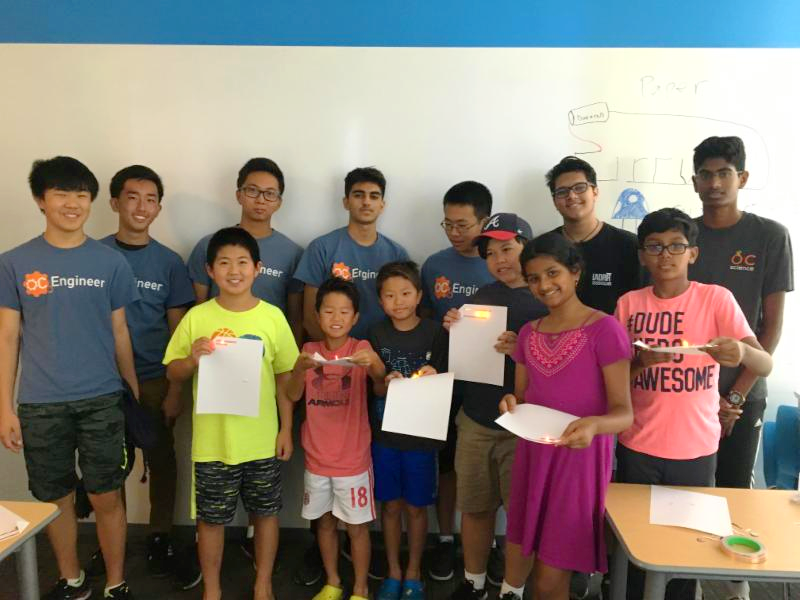 OC Engineer successfully held their first Engineering Summer Fun Night of the year, on Saturday, July 21, 2018 with 17 volunteers and more than 40 participants. Students participated in various engineering activities, where they were able to construct marshmallow structures, paper rockets, and paper circuits. During the year, OC Engineer will be hosting monthly workshops in which participants can create mouse-trap cars, DIY electric motors, “make and take” projects, and more.